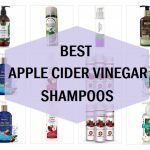 Natural and herbal go hand in hand, this is why we made this list of the best natural shampoos which are also organic in nature. But why we call them as natural. It’s simply because they have those herbal ingredients which are considered far safe for the scalp and hair. 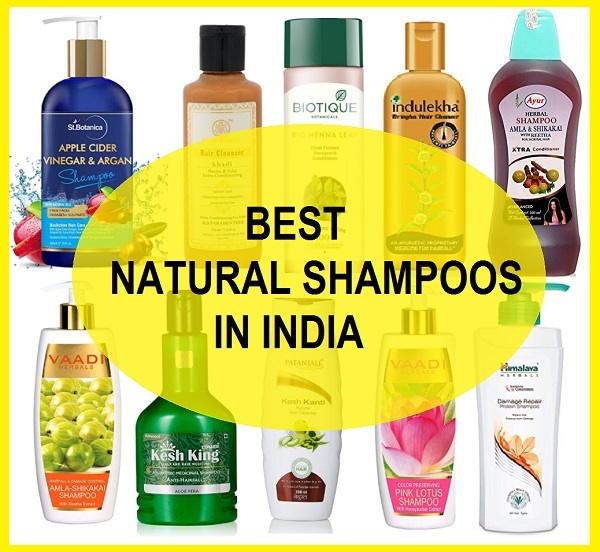 But what are the benefits when we use natural shampoos, Natural products are always mild and gentle hence, they do not have side effects unless there are some products that can be allergic to a particular person. Otherwise, most of these products are pretty safe to use. Shampoos can be said as a regular use commodity, which is why a lot of you feel that they should use chemical free hair cleansers. 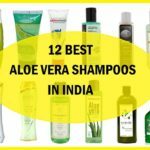 So, here in this post, we created this list of the best chemical free shampoos which are natural and organic in nature. Natural shampoos are also regarded as effective in making the hair strands get the dose of moisturization. This also prevents your expensive hair color from getting faded after few washes. Chemical based shampoos fasten the process of color loss from the hair but some of the natural ingredients actually prevent that. 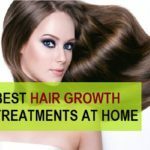 Furthermore, there are many people who are struggling with hair loss and are experiencing the balding like men with receding hairline. 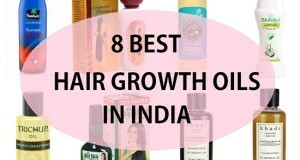 So, for them too use of organic shampoos and hair cleansers can give some relief in their hair loss condition. 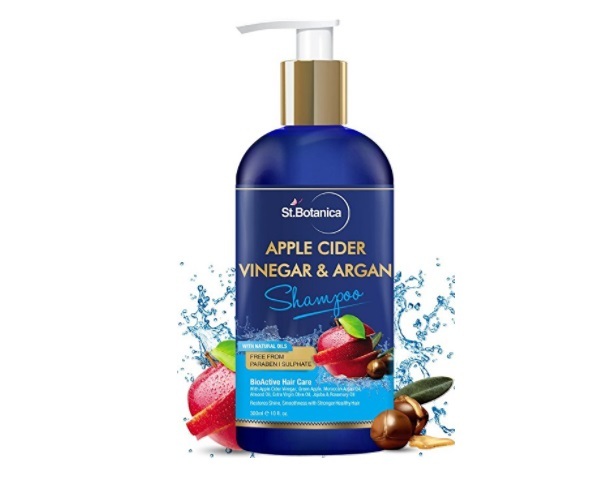 Some of the shampoo also contains actives that stimulate the hair to make the follicles grow back like the apple cider vinegar shampoos used for hair growth. 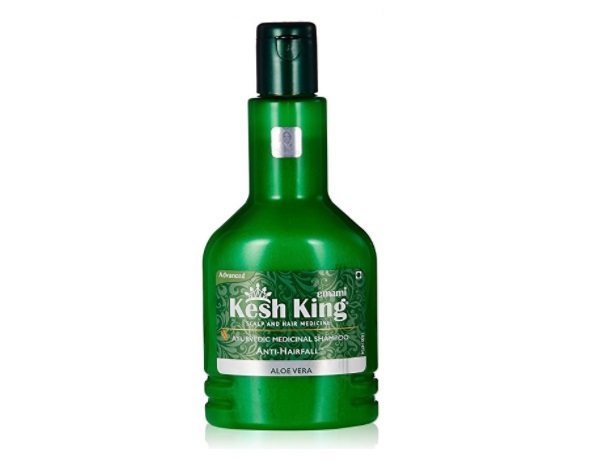 The product is a component of the very popular Kesh King Hair oil, the oils is immensely popular and the popularity also contributed to the sales of this shampoo. This shampoo is a gerbil shampoo made with the herbals ingredients like the amla, bhringraj, amalki, majistha etc. 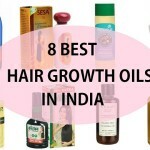 It is all mentioned in the Ayurvedic texts like Charak Samhita which have proven to be beneficial and effective in hair fall, hair loss and in actively making the follicle of the hair to grow. We have been watching this brand ever since we were kids and this has immensely grown in popularity. 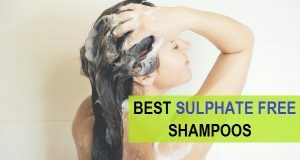 The shampoo is a mix of the three most used hair care ingredients like shikakai, amla and reetha. These three have been used to make the hair grow log and strong. 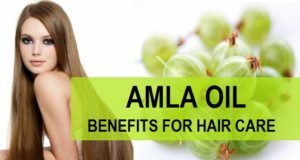 Using homemade shampoo with reetha is also beneficial in making the hair roots stronger but when the time is less and you wish to use a product that has the goodness of these there, then try using Ayur Amla Shikakai with Reetha Shampoo. 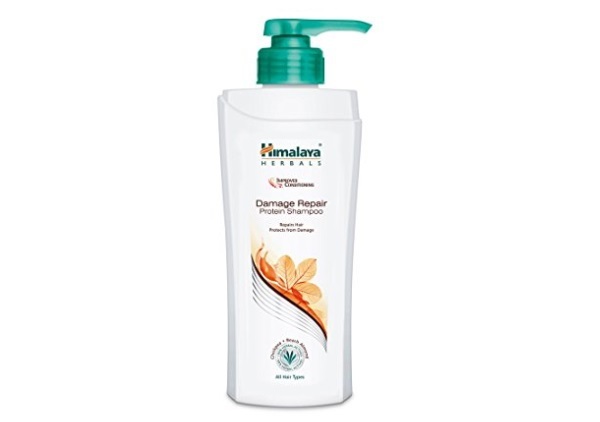 Himalaya damage repair protein shampoo is a mild shampoo designed for everyday usage. 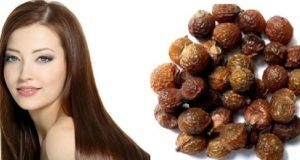 It has the protein richness and considered that the hair strands are made up of the proteins, it is a must have product for the dry, frizzy and damaged hair. It is able to provide the deep nourishment to your hair from roots to the tip. While the shampoo gives a natural strengthening with proteins it also aids in hair growth. But do keep in mind that it takes time. You can expect low lathers but it is more of a clarifying shampoo. This is made with the chick pea which is besan and is a protein rich ingredient. Khadi herbal henna tulsi shampoo as the name says it all, is made with the henna which is mehendi and tulsi. These ingredients are good for the hair thickening. 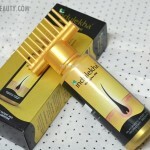 Thick hair can be easily achieved by using heena based hair care products. Most importantly, the shampoo is sulphate free and good for the daily use since the herbal component is quite mild. But the shampoo is not for the dry hair as henna has slightly drying effect. It is said to activate hair roots and hair growth. The tulsi rich chemical free shampoo is also good for dandruff control. If you’re looking for a herbals shampoo to preserve your hair color then this is the one. 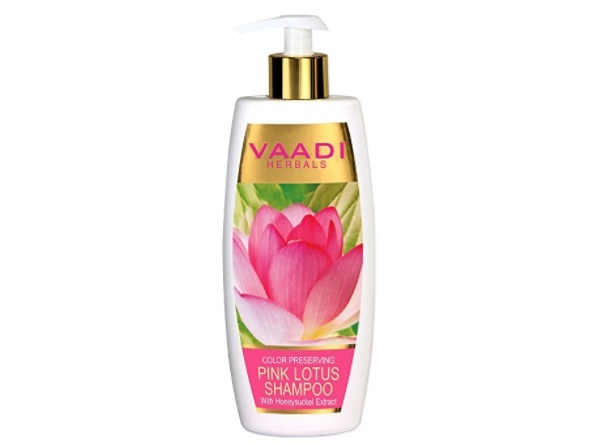 Vaadi Herbals Pink Lotus Shampoo with Honey Suckle Extracts is ideal to prevent the color from stripping down. This is made using the pink Lotus that has chemicals that aids in decreasing the process of color getting faded while you use shampoo on the hair. The herbal shampoo is good for everyday use, but still we advise you use it only 2 times in a week, to make your hair color lasts longer and stay glossier. 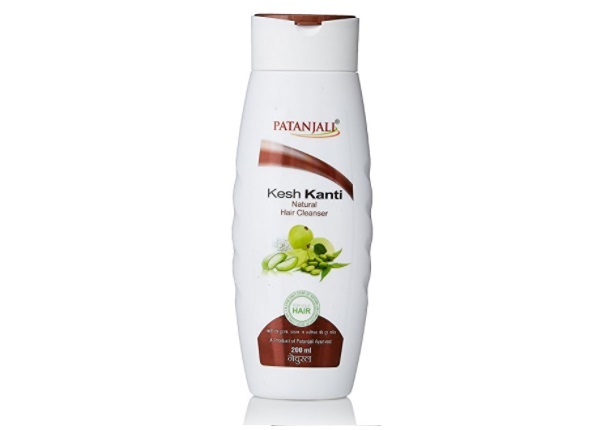 Patanjali shampoos are vest selling and the prices of these cleansers are also cost effective. The brand makes around 5-6 different types of shampoo for various purposes. This one is a chemical free shampoo for everyone. It can also be used for everyday basis. But the only thing is that it can strip some of the moisture when applied daily hence use a conditioner. 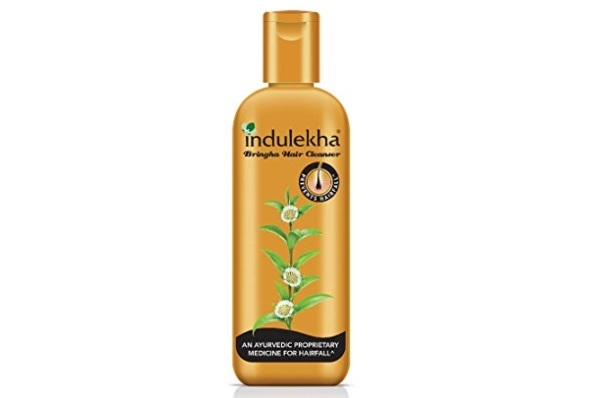 You must have seen the Ads of the Indulekha Bhringa Oil, they also have this shampoo which is laoded with the bhringraj. This herb is said to promote the growth of new hair follicles and also lessens the hair fall due to the weak hair roots. The natural shampoo can be used by the people of all age groups for hair fall controlplus it gives shinier hair. 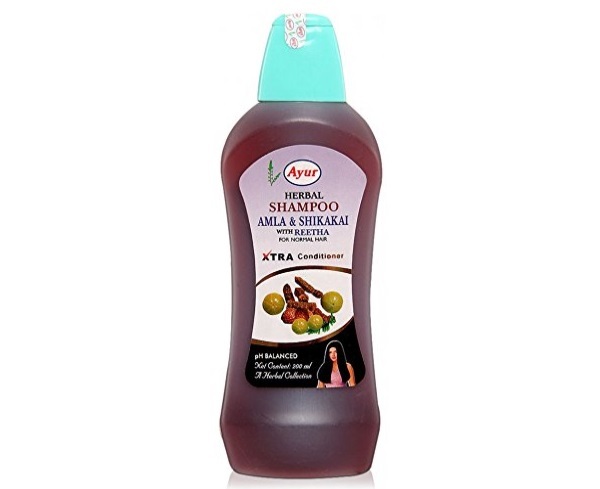 Vaadi Herbals Amla Shikakai Shampoo is the second one on our list from This brand. 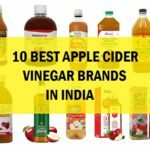 The bramd makes very affordable products though we have not seen the availability offline but online Vaadi shampoos are available very easily. This Vaadi Natural shampoo just like the Ayur contains Amla and shikakai. Vaadi Natural shampoo is made for the damaged hair and to reduce the hair fall. 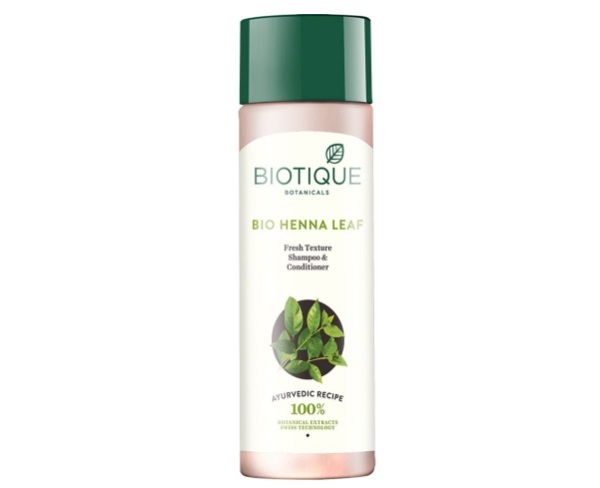 For thin and oily hair that needs the volume and body, Biotique present this Henna shampoo with the hair conditioning features. 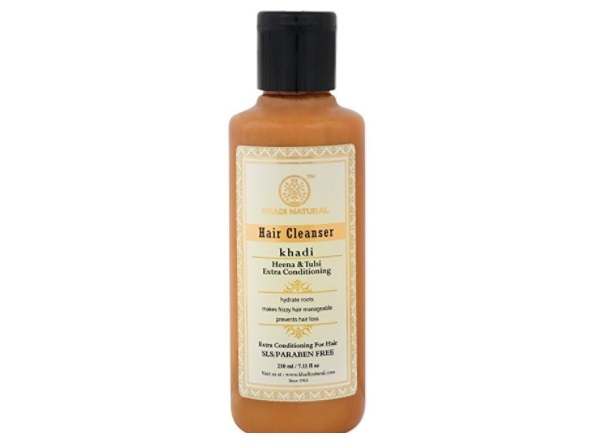 The organic Clarifying shampoo is rich in the henna or mehendi element as the name suggest. It prevents the premature graying of the hair and packs the hair with the bounce. The oily hair which gets limpy due to the excessive sebum can also be cleansed thoroughly with this hair cleanser.The natural shampoo is made with the blend of henna leaves, beryberry and soap nut extracts. 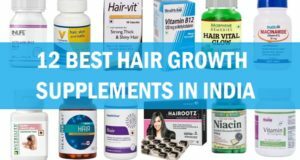 These are the best Naturals shampoos used for the hair loss and hair thickening purpose, these are readily available in Indian market for hair health.